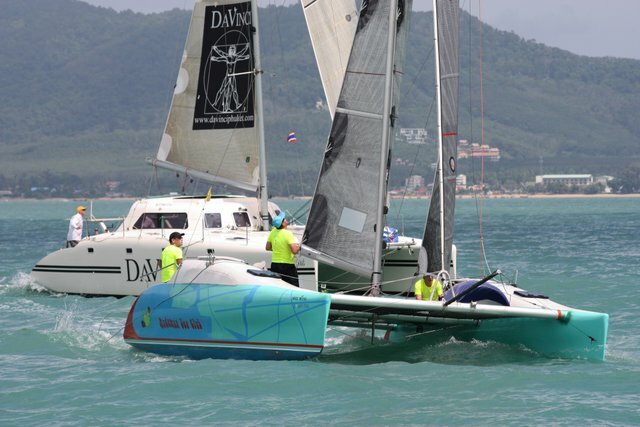 PHUKET: On the last day of the 2012 Rawai-Nai Harn Phuket Multihull Regatta last Sunday (July 15), places were still up for grabs in both the Racing Multihull and Firefly classes, which were eventually won by DaVinci and Voodoo respectively. Race Officer Simon James headed south and located the start line on the south side of Lone Island where the wind direction and wind strength were consistent, if low. Comment from the mark boat was “ripples are starting to break,” and after a delay of almost one-and-a-half hours, the wind started to build to 5-6 knots – enough to get the final race underway. 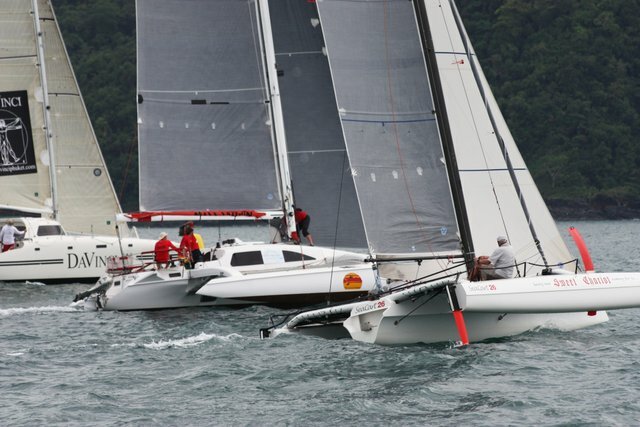 Racing Multihulls went first, followed by the Firefly 850 Sport One Design class. 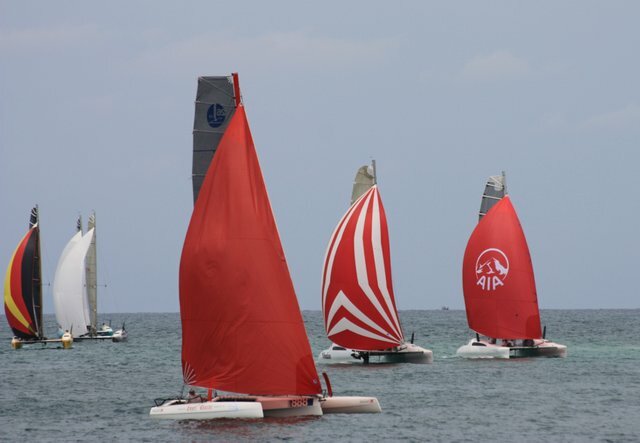 Course three (windward/ leeward), one nautical mile to the windward mark, was the course of choice for the final day and final race of the series. Henry Kaye’s Sweet Chariot led at the pin-end of the line with Mark Pescott and DaVinci second at the committee boat end. Miss Saigon (David Liddel) had a slow start, changing the head-sail as they approached. Nina (Grenville Fordham) tacked first, looking for better wind. 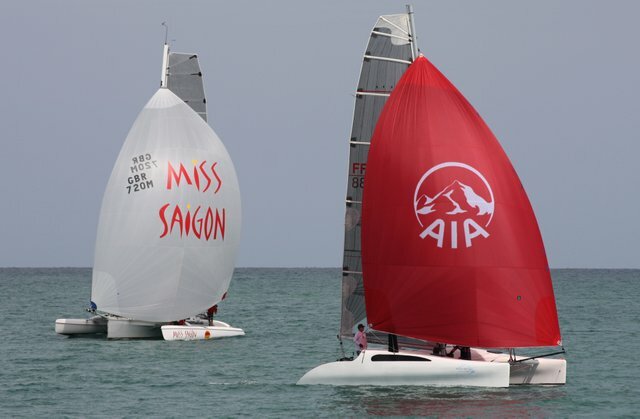 Miss Saigon made good speed upwind and rounded the windward mark first and led the class back down to the leeward mark. 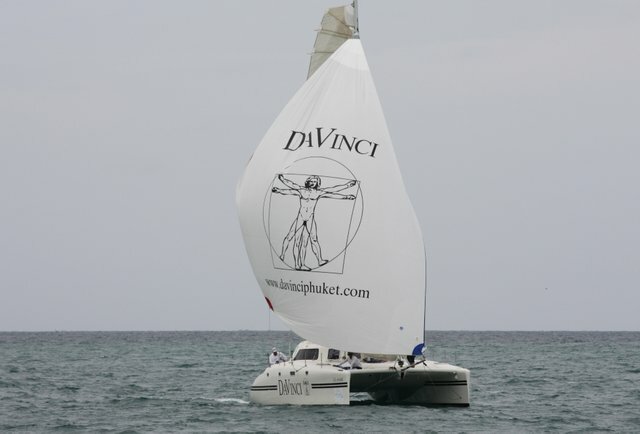 DaVinci lost ground, but rounded second ahead of Sweet Chariot. 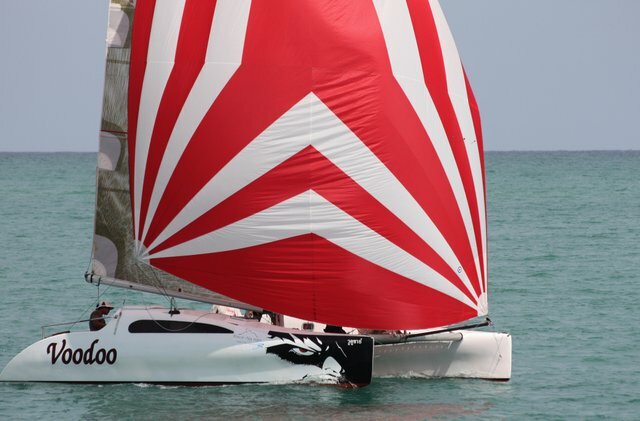 The wind was holding (building to 8 knots) but as time limits approached, the race officer made the call to shorten course and finish at the windward mark for both classes. Despite the building winds, they were still not enough for Nina who favours stronger conditions and who finished last on-the-water. After a retirement by Sweet Chariot due to gear failure, Nina placed third in the final race to secure third overall in the series. 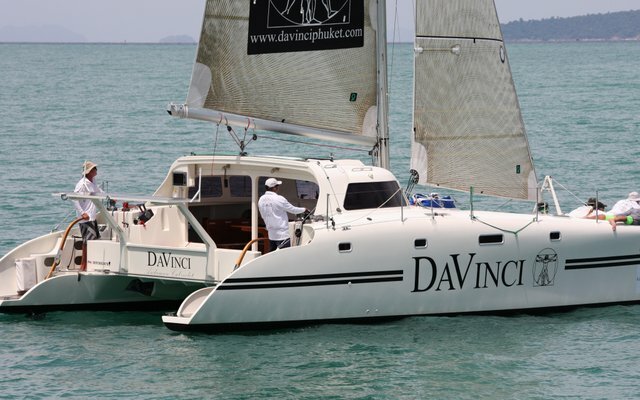 Five wins from five races left DaVinci on top, undefeated, and after finishing second place in almost every regatta to date, they finally took the elusive overall honours. Miss Saigon finished second overall. In the Firefly 850 Sport One Design class, all was still to race for. Voodoo (Hans Rahmann) got the jump on the start at the pin-end with Moto Inzi (Roger Kingdon) and Dyer Straits (Shaun Jackson) opting for the committee boat end of the line. Once clear of the committee boat, Dyer Straits tacked immediately and headed to the other side of the course looking for better winds. Their ploy worked. Voodoo were last to tack and took a higher line, but both Dyer Straits and Moto Inzi had stretched out a lead upwind with Moto Inzi leading around the top mark. 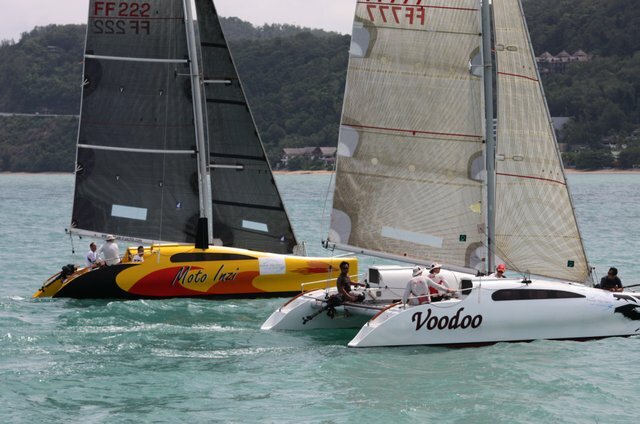 Voodoo was close on the heels of Moto Inzi and Dyer Straits, and soon overtook them both on the downwind leg rounding the leeward mark in first ahead of Dyer Straits in second and Moto Inzi in third. Twin Sharks (John Newnham), after racing last, made up time to round merely seconds behind Moto Inzi in fourth. The Frog (John Priestly) took the opposite side of the course to the rest of the fleet on the downwind leg, a decision that cost them dearly as when the fleet came back together The Frog rounded the bottom mark in last place. On the final upwind leg, Voodoo continued their form and etched out a further lead to comfortably win the race and the overall series. 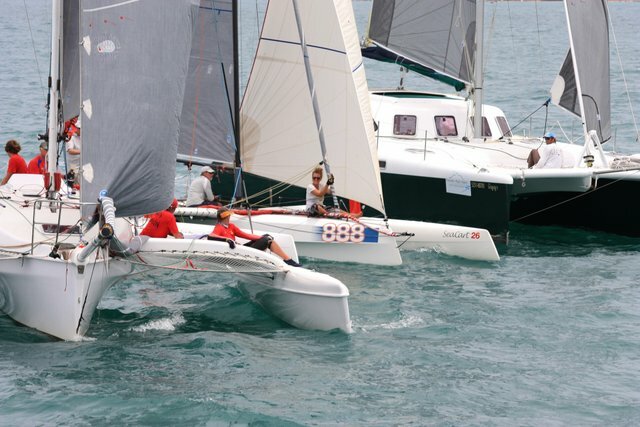 Dyer Straits edged out Moto Inzi who missed the lay line at the finish forcing them to tack, and finished second in the race and second overall. Moto Inzi finished third today and third overall. 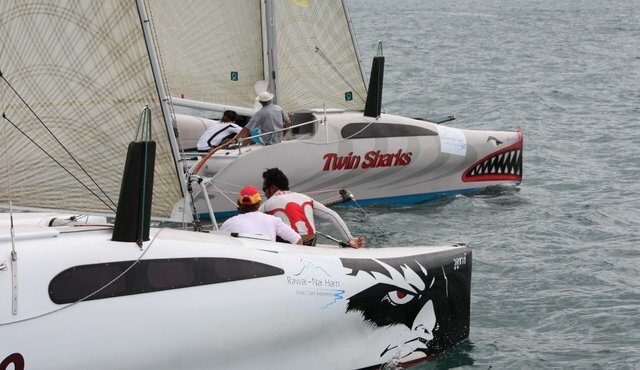 Twin Sharks finished fourth and The Frog fifth on the day – the same also in the overall standings. The final day’s prizes and overall series winners were presented at the closing party hosted by Serenity Resort & Residences in Rawai, Phuket.